In South Dakota, our locals grow up to embrace winter in all it's white, fluffy and cold glory. Brookings is no different! Every third weekend in February, area attractions come together to showcase amazing indoor and outdoor winter activities. Join us for the Winters Farmers Market! A variety of vendors will be selling items such as food and drink, fiber arts, arts and crafts, as well as CSA (Community Supported Agriculture) information. 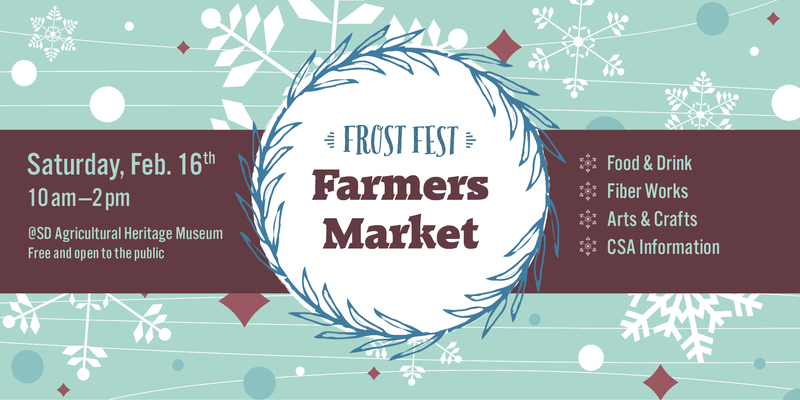 Frost Fest is truly a collaborative event featuring several local attractions, businesses and organizations to host events at various locations throughout the Brooking's community during the week of February 11-17. Interested in being a vendor? Fill out this form and mail or email it back to us by February 6! Or you can fill out this form online!